December was a wonderful month in the International Kindergarten! The children really enjoyed doing all the Christmas activities and learning about it! 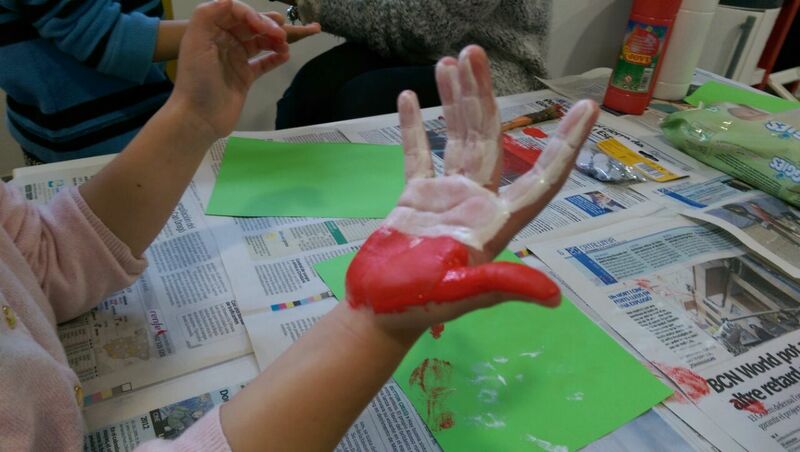 We did all sorts of fun activities in English, from making reindeer to painting Santa with our hands! The children especially loved making our class Christmas tree, which we painted in various ways then decorated with sparkly baubles! The children also loved making the stars for their own trees, which they took home. 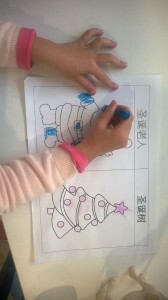 We learned a lot about winter in Chinese, we painted snowflakes and lots of fun activities. We also learned lots of things in Chinese about Christmas, we colored and stuck stickers on Santa and a Christmas tree. We sang lots of Christmas songs in both Chinese and in English, which not only did the children love, but had great fun singing for the parents at our Christmas party! Thanks so much to all the parents for their support. 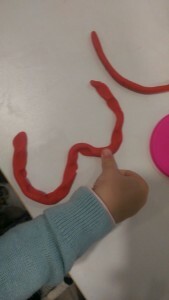 We also looked at number 3 and the colour red in English, and number 三’Sān’ in Chinese and 红色 ‘hóng sè’. After two weeks of Christmas holidays, the children have all settled back into the routine and are enjoying themselves in the Kinder. January, in our kindergarten, we are learning about different toys. We will be looking at what they can do, what colours they are, which toys we like and which we don’t like, and many more aspects of toys! We will also be finishing our seasonal ‘Winter’ topic this month, as well as looking at our continuous colour and number topic. We will be learning about the number ‘4’ and the colour ‘green’ in English and number ‘四Sì’ and绿色’lǜ sè’. See you in the International Kids Center!